Is your laptop or computer throwing blue screen error message saying that your boot configuration data is missing (error code 0xc0000185)? After deeply analyzing this error message it is found that this BSoD bug is related to the boot configuration data. There is a chance that the boot configuration data either been corrupted or become inaccessible. So, you can’t boot your system and make them normal without solving this bug. If you want to get rid of this issue then you need to apply some remedies and restore the missing or damaged data. This BSoD Stop error is very irritating and you can only start your computer after applying given solutions. Lose cable connection connecting to your system and the hard drive. Corrupt or missing boot files. If you are suffering from this error message and want to get rid of this as soon as possible then you can easily overcome from this situation. Simply go through the below-given solutions one by one and make your computer error free. Note: If you are a laptop user and suffering from this error then it is recommended to skip this fix. This is the basic way that you should apply to fix error code 0xc0000185. As a small issue in the system connection can trigger this type of error message. To execute this troubleshoot, first of all, open the CPU and make sure that the cable connecting the hard disk and system is not damaged or properly connected. It is also suggested to make sure that the system components like expansion cards, PSU, and memory are properly placed in their respective places. If you have Windows OS recovery media then this method will help you to overcome from this issue. First of all, insert the recovery media into the appropriate Port and boot your PC/Laptop from the recovery media. After it click Next on the resultant Windows Setup screen. Select to repair the computer at the bottom of the screen. Choose “Troubleshoot” from the list of “Advanced Startup” options. Windows OS recovery media should automatically start the recovery process and try to fix any startup issues. It is the recommended solution for both PC and laptop users, it is found that hard disk internal issue can also cause this error. Now, type chkdsk /R in the command prompt box and hit Enter key. This command will scan your HDD and fix any errors it finds. After the completion of this error restart your computer. You can do the system restore and reverts recently changes. Restore your Computer or Laptop to an earlier date when it worked without any error. Note: System Restore will rollback any manual or automatic changes and you will lose any newly installed program(s) and updates. Insert Windows OS installation media. Restart your system and keep pressing F12 from your keyboard. Select the installation media as the booting disk. Choose “Next” on the resultant Windows Setup window. Choose “Troubleshoot” before choosing “Advanced Options” on the resultant blue screen. Again select the “Restore” option and follow the on-screen instructions. If all the steps executed properly then you will see that your computer will boot without any issue. Also Read: How to backup files to the other drive & Restore them in Windows 10? Apply the below-given steps for PC refresh feature in Windows 8. You need a Windows 8 or 8.1 Installation DVD/USB or recovery disk. Insert the installation DVD/USB stick. After fixing Windows 10 Boot Configuration Data Error Code: 0xc0000185 you need to make sure that your PC becomes completely error free. To do this you need to scan your PC or laptop with a professional PC Error Scanner. Scan your PC with this scanner and it will fix all the other types of PC errors. It is recommended because a small issue can become a big one and affect your PC/Laptop. 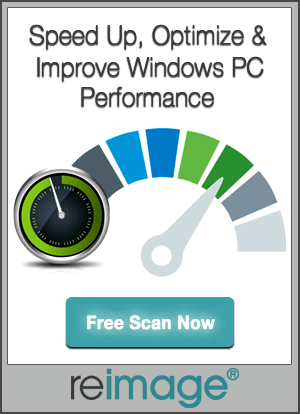 You don’t need any professional knowledge to operate this software and scan your PC deeply. Simply download, install and run this tool. It will automatically detect the issue and fix them effectively. 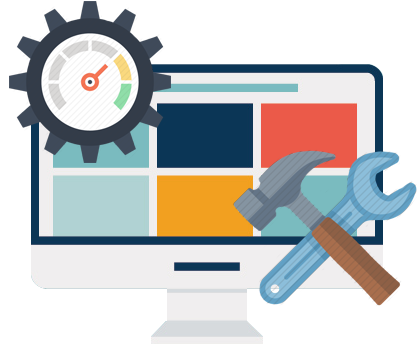 This is the only tool that able to deal with all kind of errors related to the DLL, Windows registry, system drivers issue, system memory and more. That’s why it is recommended to scan your PC/Laptop with this scanner. 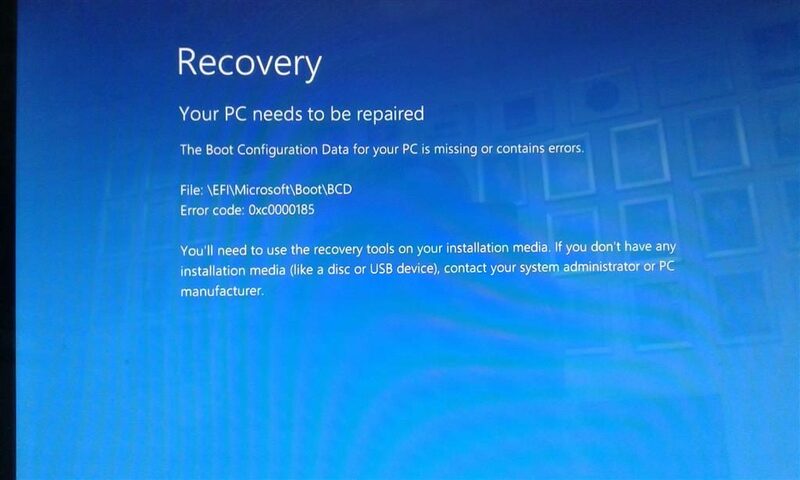 Want to get rid of Windows 10 Boot Configuration Data Error Code: 0xc0000185, then follow the given solution one by one and make your PC error free.